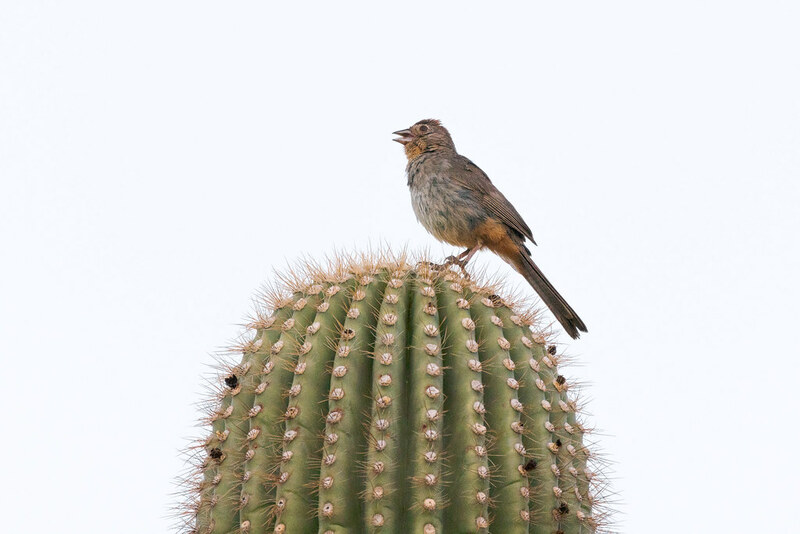 We see a lot of overlap between the birds of our backyard and the birds of the desert but not with towhees. 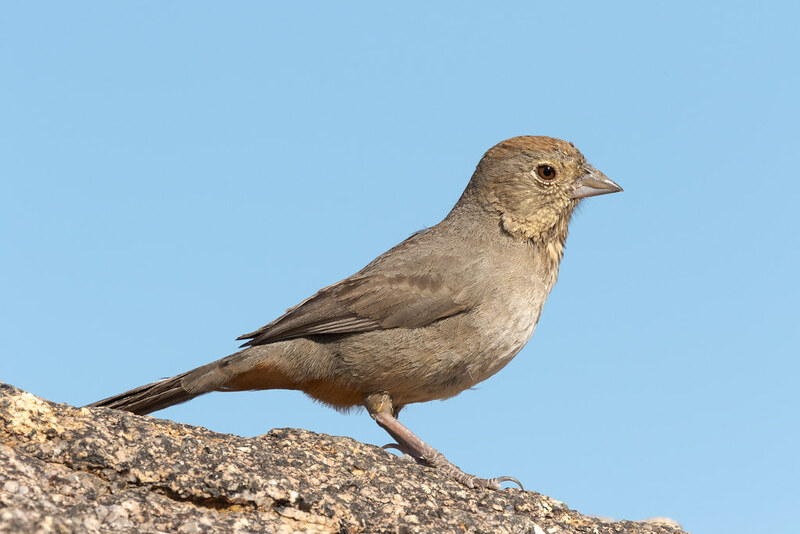 I’ve seen three species of towhees in Arizona, Abert’s towhees all summer in our yard and just recently a spotted towhee, but the canyon towhee shown here I only see on the trails. In May I arrived at Balanced Rock on my first visit to this lovely rock formation in the Granite Mountain section of McDowell Sonoran Preserve. After taking some pictures of Balanced Rock itself, I sat down on a large granite slab for some water and cereal bars before heading back. 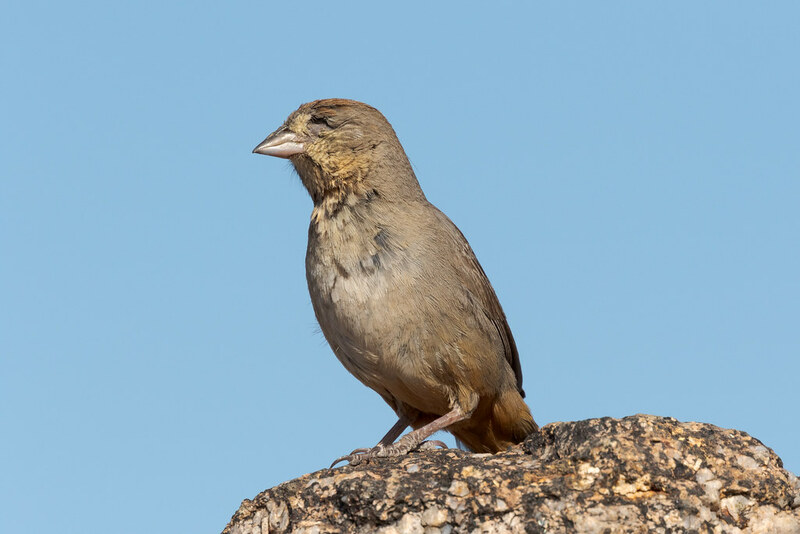 I put my camera away but brought it back out when a pair of canyon towhees flew in. I could tell something was wrong with one of the eyes of one of the pair but couldn’t tell what as it flitted about until I looked at the pictures: one of its eyes was missing. To me it looks like a congenital defect, as though the eye and the surrounding feathers never formed. 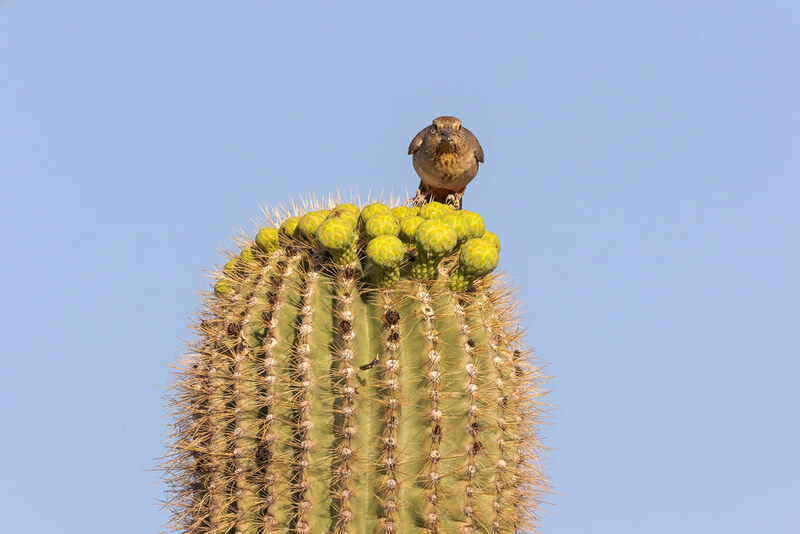 I felt a great deal of sympathy for the little bird as life in the desert is hard enough. But even more I felt admiration as it flew about the rocks and perched in trees with all the grace and alacrity typical of birds despite the limited depth perception. 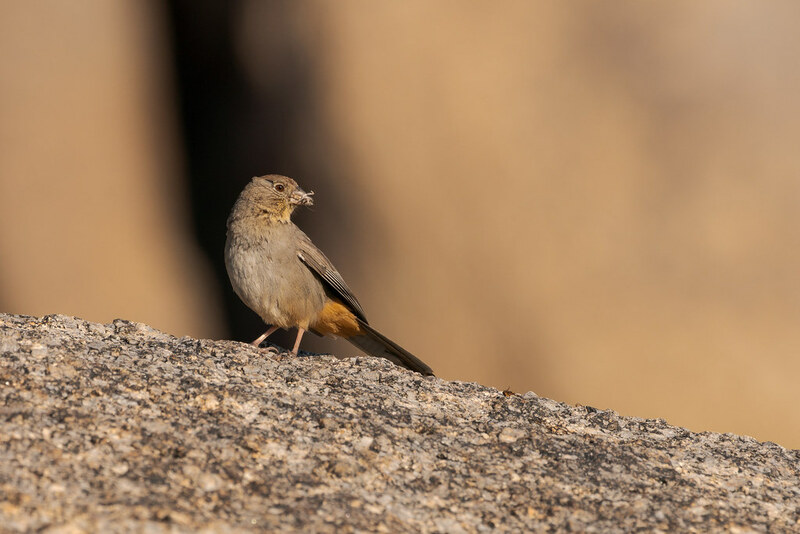 Obviously it had survived into adulthood and apparently found a mate (canyon towhees are typically monogamous and often mate for life). I couldn’t say if its mate helps it find food, or if it supplements its diet with crumbs left behind by hikers like me who stop to eat, or if it feeds just fine on its own, but it seemed healthy. May you have a long happy life, little one.